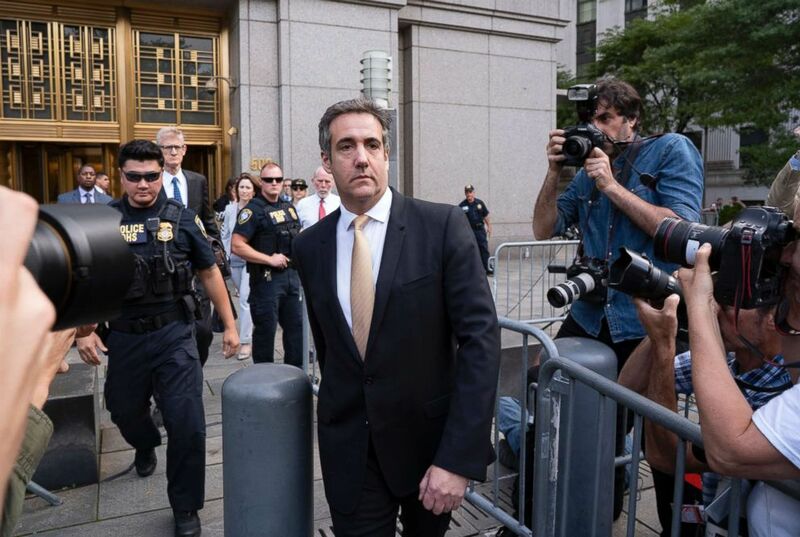 Michael Cohen, former personal lawyer to President Donald Trump, leaves federal court after reaching a plea agreement in New York City, Aug. 21, 2018. 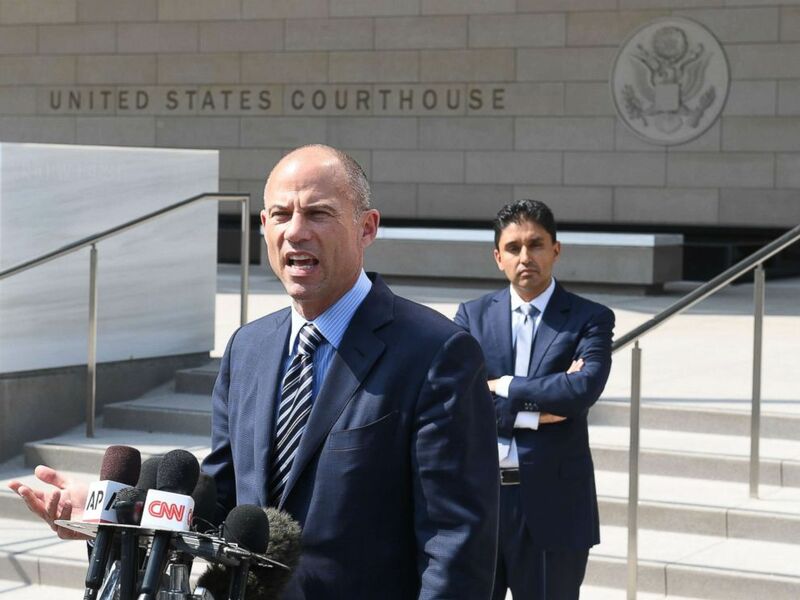 Michael Avenatti, the lawyer for adult film actress Stormy Daniels, speaks to the press after a court hearing at the United States Courthouse, July 27, 2018, in Los Angeles. Washington (CNN) Retired Admiral William "Bill" McRaven, the former head of Special Operations Command, resigned from the Pentagon's Defense Innovation Board last month, just days after issuing a stunning rebuke of President Donald Trump's decision to revoke the security clearance of former CIA Director John Brennan, the Pentagon confirmed Thursday. The Defense Innovation Board serves as an independent advisory committee to the Pentagon specializing in issues related to technology and innovation. McRaven's picture has been removed from the group's website. While his departure was first reported by Defense News on Thursday, the Pentagon confirmed that McRaven officially resigned last month, just four days after he authored a blistering op-ed in the Washington Post slamming Trump's decision to revoke Brennan's clearance. For President Donald Trump, the luster seems to have worn off Defense Secretary James Mattis. Trump heralded the retired Marine general when he was picked for the top job at the Pentagon at the end of 2016. Trump has praised him as "a true General's General" and has told donors, "The guy never loses a battle, never loses." Trump has frequently referred to Mattis as "Mad Dog" — though Mattis has expressed an aversion to that nickname, telling senators during his confirmation hearings that it was given to him by the press and that "perhaps they didn't get it quite right." Friends of Mattis told CNN last year that people who know Mattis do not call him "Mad Dog." But reports have continued to emerge suggesting that Mattis is a moderating force in the administration, slow-walking Trump's directives and even ignoring the more incendiary ones (and, on at least one occasion, defusing confrontations between administration officials). According to a Politico report published Wednesday, Trump has picked up on this dynamic, and it has affected how he views the defense secretary. Behind closed doors, Trump has reportedly started calling the revered general "Moderate Dog," and he is said to have been considering replacing Mattis for months. Mattis was not Trump's first choice for the job. But one of Trump's reported top choices, retired Army Gen. Jack Keane, and other national-security figures, like the late Sen. John McCain, spoke highly of Mattis, who headed US Central Command before retiring in 2013. That NBC News report described Mattis as having been blindsided by Trump's decisions to withdraw from the Iran nuclear deal, pause military exercises with South Korea, and create a sixth military branch focused on space. While rumors about Mattis' fate have circulated for some time, the Pentagon chief is now expected to resign or be dismissed after midterm elections in November, according to Politico. The White House is said to have a shortlist of potential replacements. Two people reportedly on the list — Sens. Lindsey Graham of South Carolina and Tom Cotton of Arkansas, both Republicans who are up for reelection in 2020 — have indicated they aren't interested, Politico said. Others under consideration include Keane and former Sen. Jim Talent of Missouri, The Washington Post reported last week. Trump and Mattis have both denied reports of a growing rift between them. Earlier this month, when asked about Mattis' future after reports that he had made disparaging remarks about the president, Trump said Mattis would remain. "We're very happy with him," Trump said. "We're having a lot of victories."